The MCP73838 is a highly integrated full-featured linear Li-ion battery charger with both USB and AC-adapter inputs. Automatic Power Source Selection simplifies the design of battery chargers for applications that are powered from either a USB port or an AC adapter. 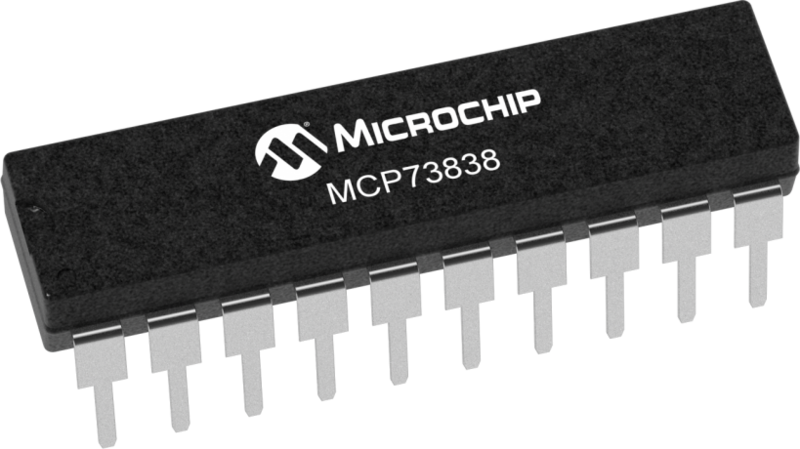 For USB-powered systems, the MCP73838 specifically adheres to the current limits governed by the USB application. Also includes safety features such as cell temperature monitoring, on-chip thermal regulation and safety timers. Available in 10-pin 3mm x 3mm DFN package or 10-pin MSOP package.